Prominent & Leading Manufacturer from Mumbai, we offer lm bush with flange. 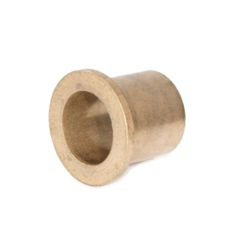 We are the renowned name in the industry, engaged in offering Sintered Bronze Flanged Bushing to our clients. Offered products are used in various industrial applications which are available in different diameters, various sizes, and models as per the clients’ requirements. The offered products are designed using top-notch quality raw material and innovative technology in line with industry standards.